Tesla’s factory was fined $139,000 for emitting the same type of toxic NOx into the atmosphere that their electric-vehicles are supposed to eliminate. Tesla has been fined $139,500 by Bay Area Air Quality Management District (BAAQMD) for emitting nitrogen oxides (NOx) air pollution inside its factory. Although Tesla told the San Francisco Chronicle that the sanction was due to a malfunctioning furnace, the company was fined $1,000 for the same issue in 2013. Nitrogen oxides known as NOx, are poisonous gases often emitted by fossil-fuel burning cars, trucks, tractors and boats or industrial processes like power generation. NOx human health impacts include breathing problems, headaches, chronically reduced lung function, eye irritation, loss of appetite, and corroded teeth. To supposedly reduce nitrogen oxides (NOx) emissions, California-based Tesla receives government subsidies of $2,500 Zero Emission Vehicle (ZEV) tax credit for every all-electric Model S, Model X and Model 3 purchased in the state. Combined with federal ZEV subsidies of $7,500 per vehicle, Tesla has received about $1 billion in ZEV credits. Tesla has tried to blame the issue on the NUMMI, a joint venture between General Motors and Toyota Motor Corp. 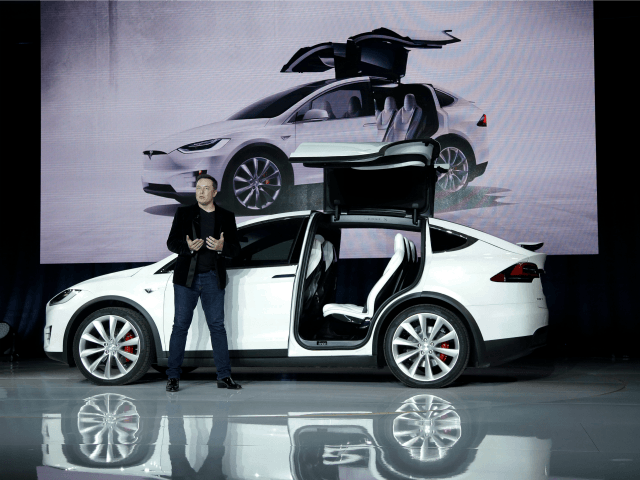 The joint-venture sold their Fremont plant and equipment to Tesla for $42 million in 2010. A Tesla spokesman emailed reporters claiming the company inherited the problems from GM: “The majority of these violations were resolved by Tesla four years ago when we proactively brought the issue to the attention of the District.” But despite a complete rehabilitation, Tesla was fined $1,000 for the same NOx issue in 2013. But the BAAQMD release claims the $139,500 fine and settlement covers a series of violations from 2013 through 2016. Tesla also agreed to install about $93,000 worth of solar panels at the Silicon Valley Boys and Girls Club in San Jose. Tesla has long been under fire by conservatives for mining government subsidies for the rich that can afford the $90,000 price tag for a new Model S sedan or Model X SUV. But progressives are increasingly complaining that its vehicle’s so-called embodied carbon, which is a measure of the energy needed to build its vehicles, is too high. It is estimated that the manufacture of a U.S. standard midsize sedan generates 17 metric tons of carbon dioxide, about the equivalent of 3-years of electricity consumed per household. But the U.S. Union of Concerned Scientists estimates that it takes about 15 percent more embodied carbon to produce an electric vehicle, due to the materials and fabrication processes used to make very large battery packs.